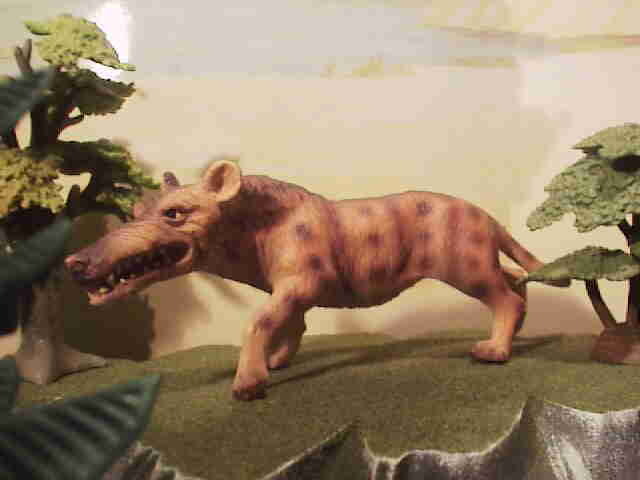 You are currently browsing the tag archive for the ‘Andrewsarchus’ tag. In the summer of 1923, Kan Chuen Pao unearthed an enormous skull from the baking Gobi desert of Mongolia. Pao was a member of a paleontology expedition led by Roy Chapman Andrews, a world famous explorer, adventurer, and naturalist who, during the course of his career, rose from being a janitor at the American Museum of Natural History to being its director. The skull they found was an enigma—the creature was a mammal with immensely powerful jaws but blunt peg-like teeth. No substantial bones were found other than the skull sans jaw (nor have any further specimens ever been discovered). The skull was discovered in sediments deposited during the late Eocene, the sweltering summer epoch when most extant mammalian orders evolved, so it is probably 36 to 40 odd million years old. Andrews was immediately of the opinion that it was a huge carnivore, but what sort of creature was it really? 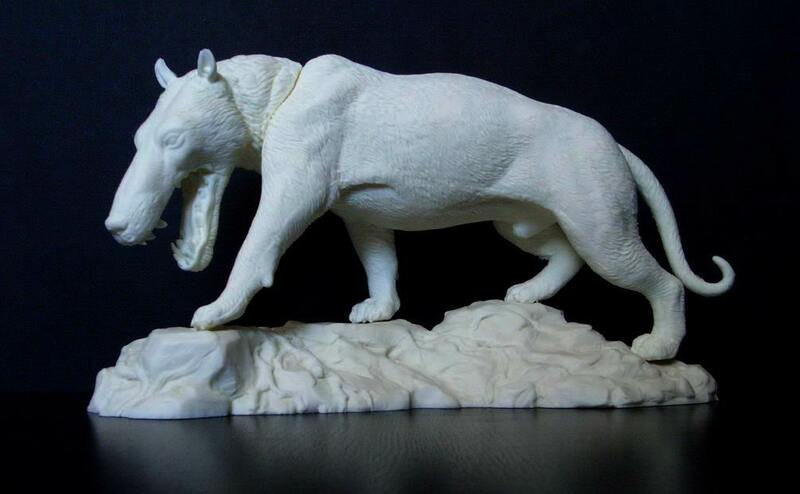 The creature was named Andrewsarchus mongoliensis in honor of Adrews and his expedition. 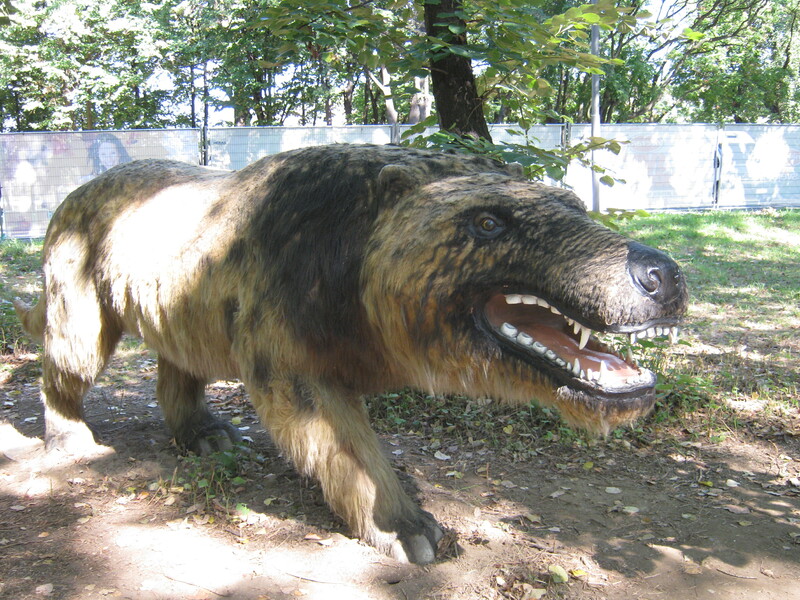 Andrewsarchus may have been the largest mammalian carnivore ever (although short faced bears might have been larger). The one skull, currently in New York, measures 83 cm (33 inches) long and 56 cm (22 inches)wide–which suggests the animal may have been 3.4 meters (11 feet) long and nearly 2 meters (6 feet) tall at the shoulders. Such a creature could weigh more than 1000 kg (2200 lb). But Adrewsarchus may not have been a carnivore: ever since the beginning of the jazz age, Paleontologists have argued about the monster’s diet. 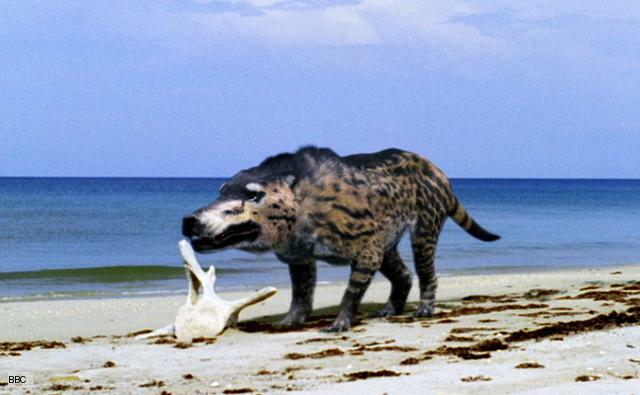 Andrewsarchus lived along the coast of the eastern Tethys Ocean, a sea which was dried out and destroyed when the Indian subcontinent barreled into Asia during the late Eocene/Early Oligocene. 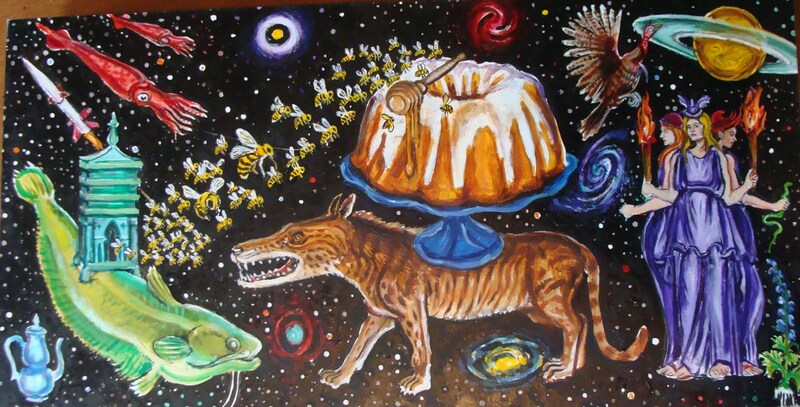 Some scientists believe the creature was a hunter which captured the giant land animals of the time. Other scientists believe the animal was a scavenger which lived on the rotting carcasses of primitive whales and beached sea turtles. Another group feels that the creature fed on huge beds of shellfish, and a final school holds that the animal was even larger than believed and was at least part-herbivore! Later scientists have been less certain about lots of things than Osborn was and Andrewsarchus’ place in the mammalian family is now unclear. A consensus is emerging that the great creature shared common ancestors with the artiodactyls (like hippos, deer, and pigs). Perhaps its heritage provides insights into the link between the artiodactyls and their close (yet oh so distant) cousins the whales. Whatever the case is, these giant hoofed creatures with their immense powerful maws must have been amazing and terrifying to behold. Their fate seems to have been sealed as the Tethys closed and the Gobi basin dried out, but, whenever I think of the harrowing deserts of Mongolia and China, I imagine their fearsome toothy spirits towering over the other strange ghosts of that haunted place.